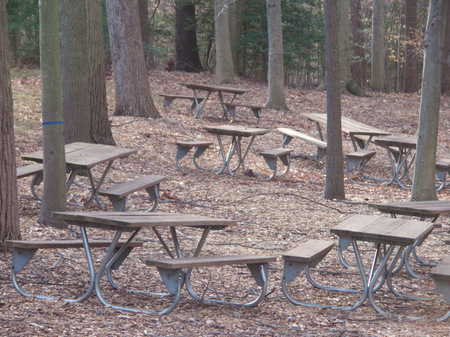 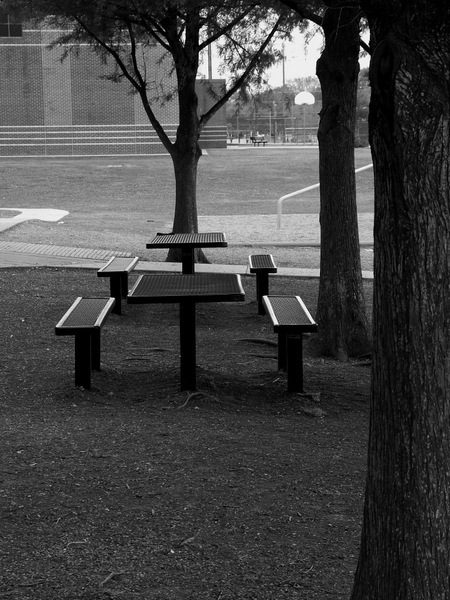 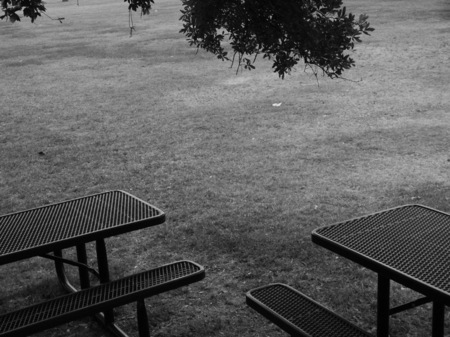 Benches in Maryland, a scattering of emptiness. 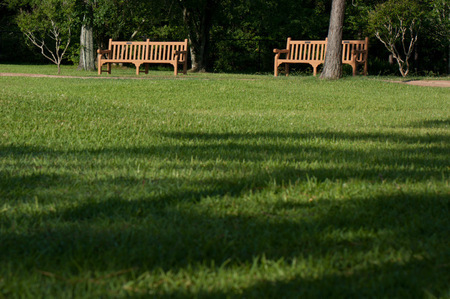 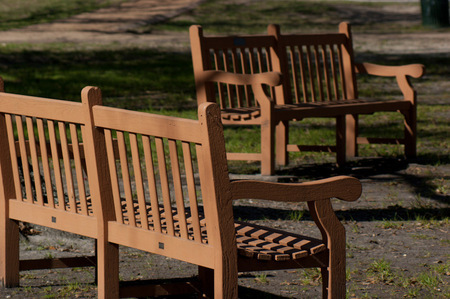 Rocker bench at University of Houston-Clear Lake. 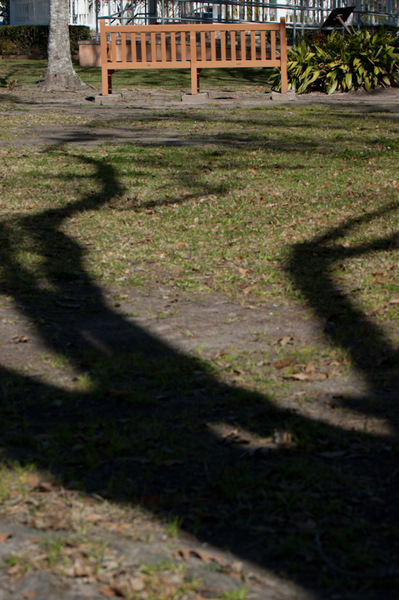 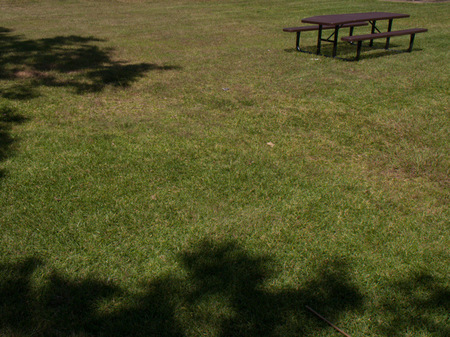 Solitary bench with encroaching shadows. 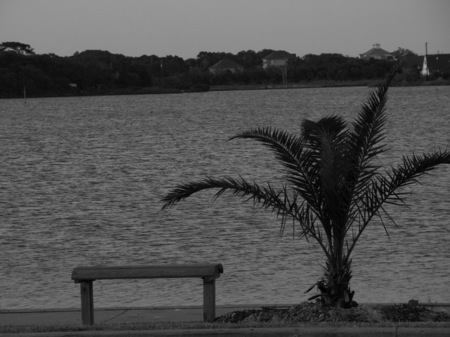 Apartment board walk with a solitary bench. 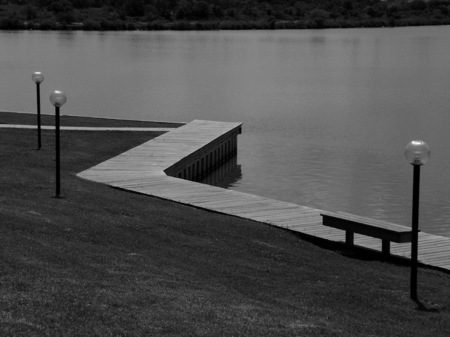 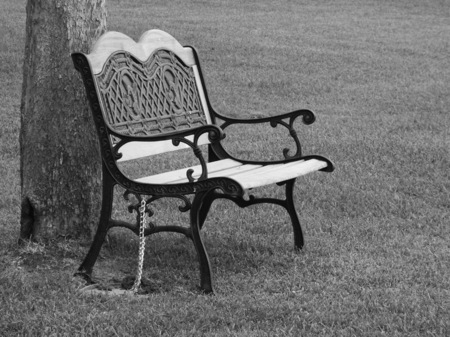 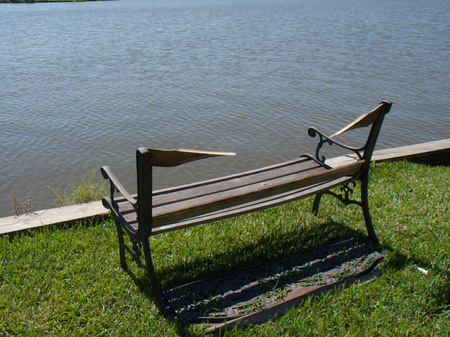 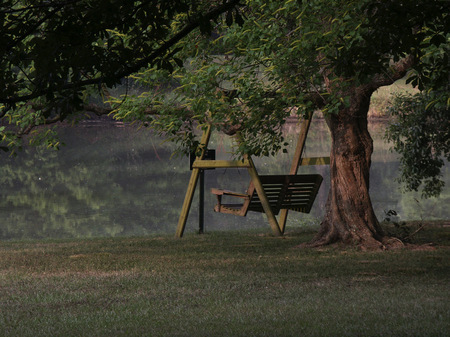 Bench awaiting a guest at Clear Lake in Texas. 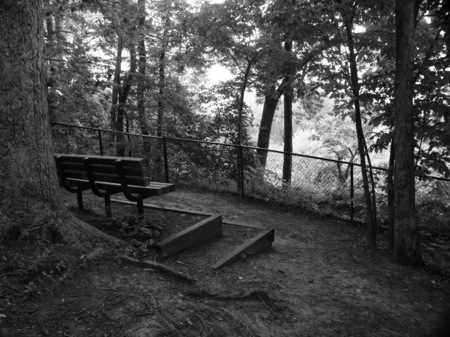 Bench at the site of a Civil War battle in Virginia. 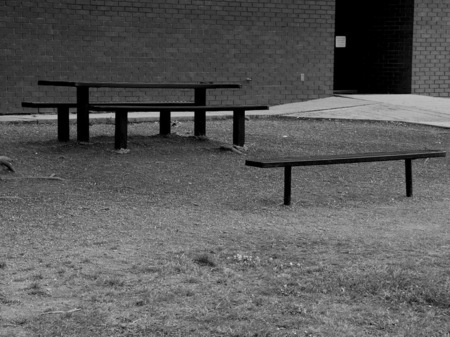 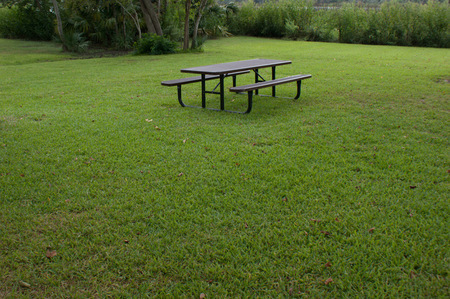 Benches that normally hold kids on lunch breaks. 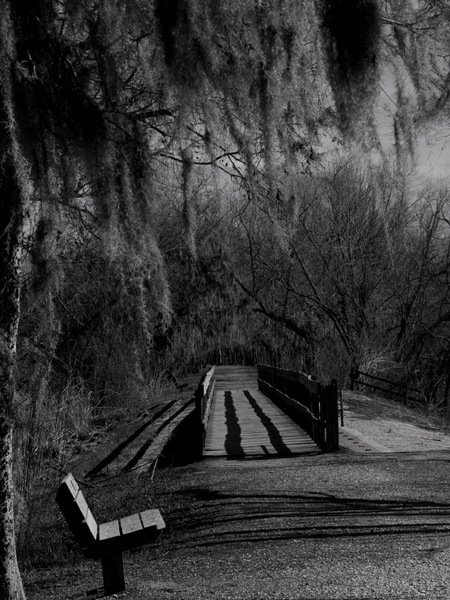 Bench awaiting the walkers at Brazos Bend State Park in Texas.